Dohar blankets are Indian summer blankets made of three layers of fine cotton. The middle layer is printed and the outer layers are plain, so that the pattern of the middle shows through. Since the outer layers are unprinted, the fabric remains much softer. Alec has a Dohar blanket from India that we love. We use his blanket to cover the stroller, and as a light cover on warm days. But you could swaddle with it or use it as a bed sheet. 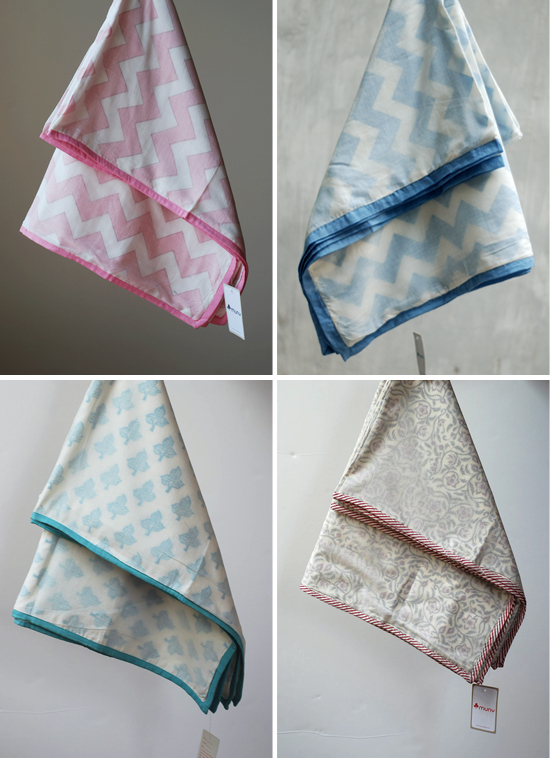 I recently came across these Dohar blankets from Muny and I think they are just lovely!